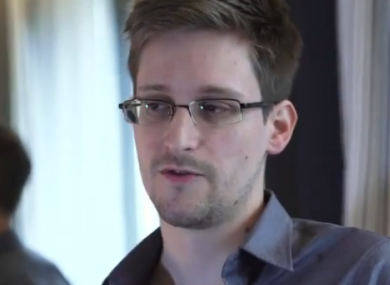 Booz Allen Hamilton confirmed in a statement that Edward Snowden’s employment with them had been “terminated”. US DEFENCE CONTRACTOR Booz Allen Hamilton has said it has fired Edward Snowden, the 29-year-old employee who leaked secret US Internet and phone data surveillance programs to the press. “Snowden, who had a salary at the rate of $122,000, was terminated June 10, 2013 for violations of the firm’s code of ethics and firm policy,” the company said in a statement. “News reports that this individual has claimed to have leaked classified information are shocking, and if accurate, this action represents a grave violation of the code of conduct and core values of our firm,” it said. Previous reports have said Snowden earned $200,000 per year, and it was not clear from Booz Allen’s statement whether this was false or whether Snowden received any bonuses or allowances in addition to his salary of $122,000. The company said it would work closely with authorities investigating the security breach at the National Security Agency, where Snowden had worked as a contractor – for the last three months as a Booz Allen employee. Email “You're fired: US surveillance whistleblower sacked by his employer ”. Feedback on “You're fired: US surveillance whistleblower sacked by his employer ”.